Mandarin orange is sweet and it is easy to peel. Mandarin orange or Mandarin is the name of a class of orange fruit which have oblate fruit (the fruit is smaller than common oranges), thin, loose peel and small seed. 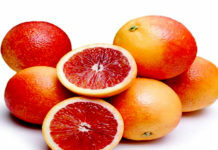 Its peel color is bright-orange, and could turn to red-orange when ripe. The ripe mandarin orange is easily to peel and split to segment, its taste is also sweeter, stronger and less sour compared to other oranges. The origin of mandarin was considered from south-eastern Asia and Philippines. The mandarin tree is tolerant of drought than cold weather, its fruit is tender and could be damaged by cold easily, that is the reason why it can be grown good in tropical and subtropical areas. Now, mandarin is grown in Japan, southern China and East Indies abundantly, and some other areas as US, Australia, etc. There are many types of mandarin but could call three main classes: Mandarin, Tangerine and Satsuma. Mandarin: has orange-yellow to orange-red peel, pale-orange to orange pulp, seedy and sweet flavor. Mandarin includes Changsha – from and grown as an ornamental in Texas – US; Le-dar, Emperor from Australia, Oneco from northwestern India and Willow-leaf – mainly grown in Mediterranean. This class harvest time is in autumn to early season. Tangerine: is an oblate and small fruit, with peel color from orange to dark orange-red, juicy but seedy. There are different kind of tangerines with interesting names like Clementine (or Algerian Tangerine, growing in US), Cleopatra (Ponki or Spice growing in Japan, India, Florida-US…), Dancy (from Chico, Ca, US with harvest time from December to February), Robinson (from Florida, harvested from November to January), Sunburst (from Florida, harvest time is from December to February), Ponkan (is grown in China, India, Brazil, Japan and harvested from November to January). These names are after the peoples who discovered or introduced or spread tangerine to places. Satsuma (or sometime called Emerald Tangerine): may have originated in Japan about 17th century and now is grown also in US, this class could especially accept the cold weather to 12o It has sweet and tender flavor and is juicy. Its peel color is from salmon-orange to deep-orange and the pulp is orange. There are three main types of Satsuma tangerines: Owari-an early and short season fruit, Wase-an very early season fruit and Kara a late-season one. Most of mandarin orange types are eaten freshly or used in fruit salad, pudding, cake or producing gelatins and very little types are canned in syrup. The essential oil which extracted from the peel is used as flavor in producing hard candy, chewing gum, ice cream, gelatins, and bakery goods. 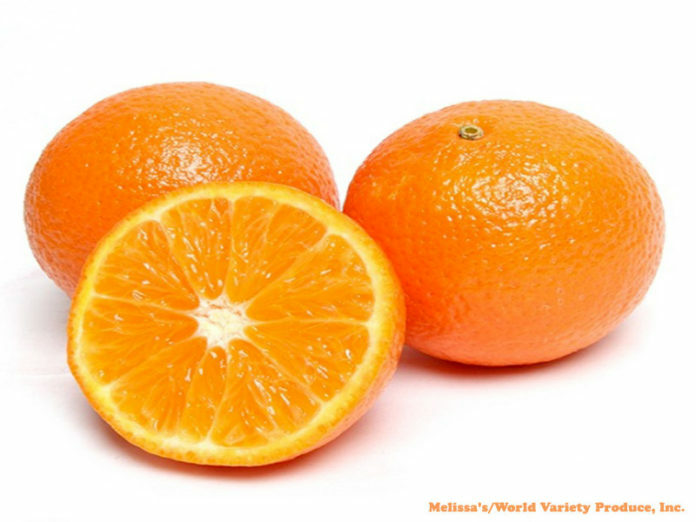 Mandarin oranges are types of orange, but their fruits are easily damaged by cold weather and transportation, and for the loose peel, it’s hard to see the damage from outside of the fruit. 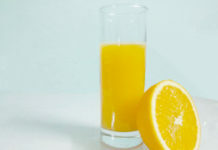 To protect and keep mandarin orange longer for consumption, they have to use pads impregnated with a legal limitation of fungistat and diphenyl and place the fruit in shipping cartons. With pads at room temperature (21oC or 69oF, the fruit could be stored for 2-4 weeks. If placed in the fridge at about 5oC (41oF), they could be stayed for 3 to 4 weeks. 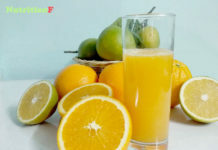 The above reasons make mandarin orange to become less popular in the western countries, and to cause many disadvantages to the consumption of this fruit type.